Boost your appreciation for beauty by engaging with the world! Describe something you felt was beautiful that is from nature. Describe something you felt was beautiful that is human-made (e.g., arts and crafts). 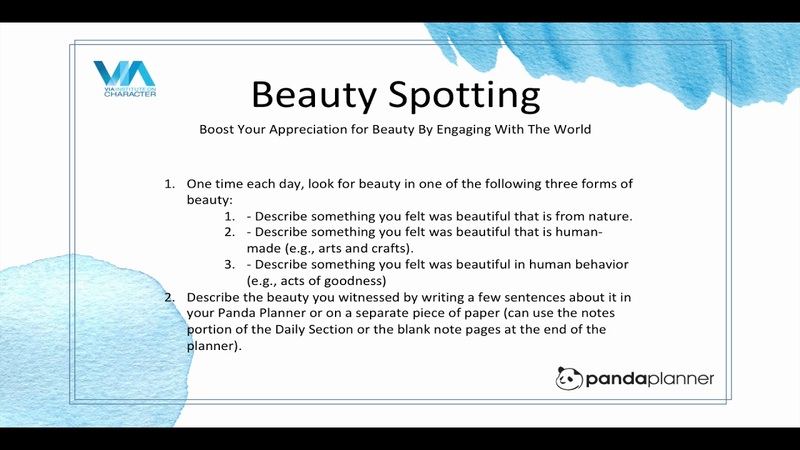 Describe the beauty you witnessed by writing a few sentences about it in your Panda Planner or on a separate piece of paper (can use the notes portion of the Daily Section or the blank note pages at the end of the planner).